Go green with this garden of delights potting in a ceramic pot. Perfect for the office or home, it's a great gift for all seasons. 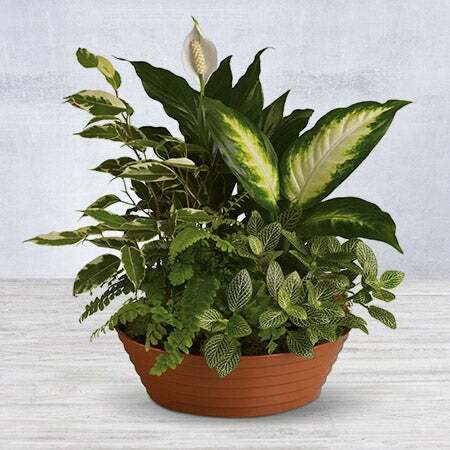 A white hypoestes is joined by green dieffenbachia, spathipyhllum, ficus and Boston fern that's delivered in a beautiful clay dish.